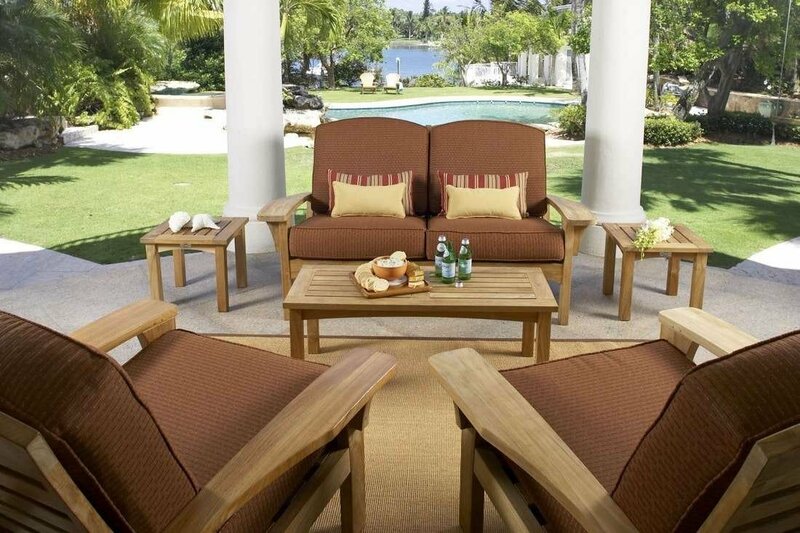 The Douglas Nance Augusta Deep Seating line combines the styling of Adirondack furniture with the comfort of deep seating. The Augusta Club Chair features a solid Indonesian teak frame with a three-position reclining backrest, topped off with weather-resistant Sunbrella cushions. Seat Dimensions: 26"W x 19H"
Total Dimensions: 38"W x 42"D x 36H"
Shipping Dimensions: 38" x 49" x 11"